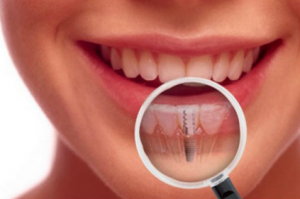 Are Dental Implants the Right Solution for Me? Missing teeth can make you feel self conscious when meeting new people, talking in front of large groups and even eating. In addition to feeling self conscious, oral health problems can arise as well. Not to worry, here at Philadelphia Dentistry we offer a variety of cosmetic procedures to aid the appearance of missing teeth such as dental implants. What are some advantages of implants?